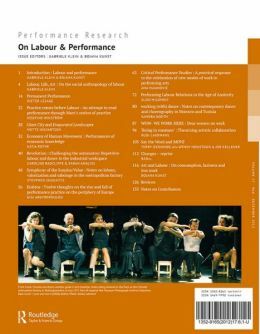 Performance & Labour is adressing the relation of performance to the new forms of labour and new modes of employing human forces under contemporary capitalism. Especially in recent years, under the pressure of crisis, a general re-structuring of the cultural and educational spheres of contemporary society, as well as growing attempts to re-evaluate artistic work in general, there exists a need to rethink the processes of making art and art making and connect it to the question of labour. 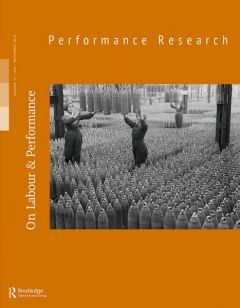 Any reflections on the processes of labour are therefore deeply connected with ways in which the artist's role is re-evaluated through the economic and political crisis, especially in relation to current cultural and political discussions about the applicability of knowledge and imaginative and creative practices.